The absolute temperature of an ideal gas is directly proportional to which of the following properties (when taken as an aveage )of the molecules of that gas? Find the original temp of a gas in degrees celsius if the gas was moveed from a 75 cubic centimeter tank to a 225 cubic centimeter tank with temperature of 123 degrees Celsius. 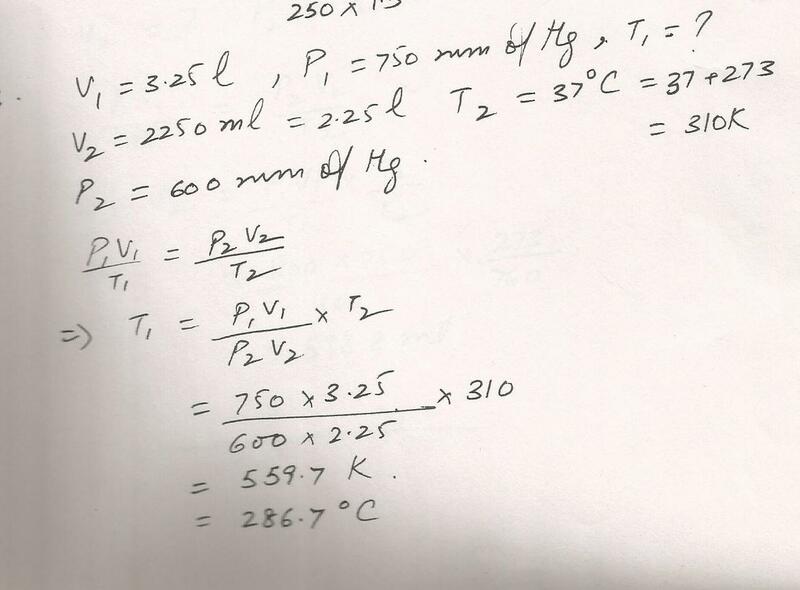 750 m1 of a gas at 127 degrees Celsius and 800 mm Hg would occupy what volume at STP? 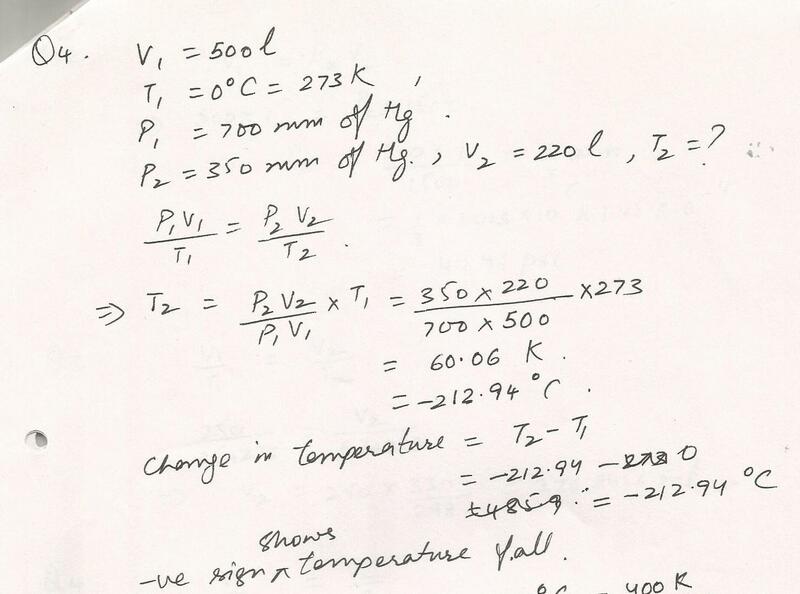 How great a temperature change occurs for a gas at 350 mm Hg and 220 L if it occupied 500 L at 0 degrees C and 700 mm Hg? What is the final temperature in Celsius of a gas occupying 3.25 L at 750 mm Hg if it occupied 2250 mL at 37 degrees C and 600 mm Hg? A gas occupies 60 L at 250 degrees K and 1 atm. 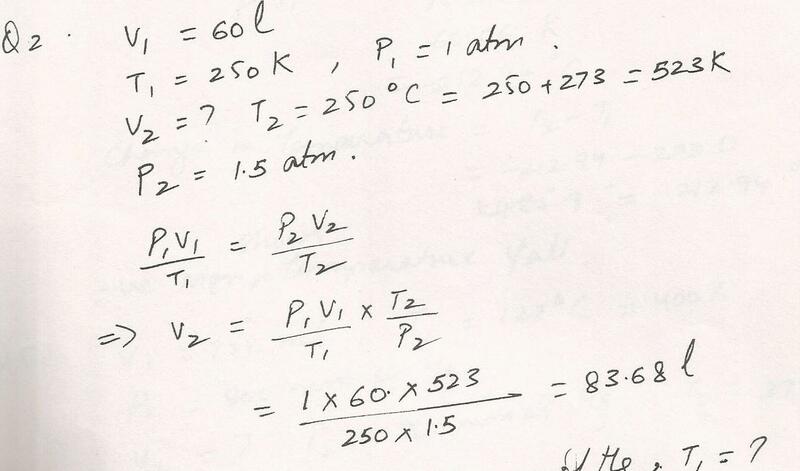 what is the volume degrees C and 1.5 atm? 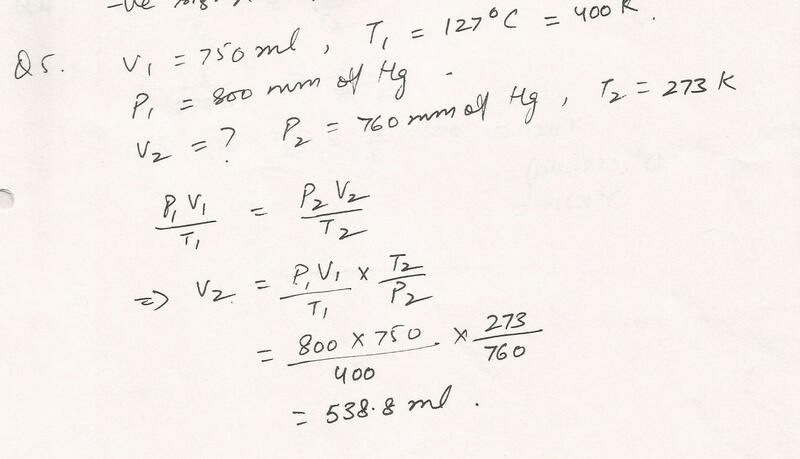 What is the volume of a gas at 275 mm if it occupied 750 mL at 1000 mm Hg? 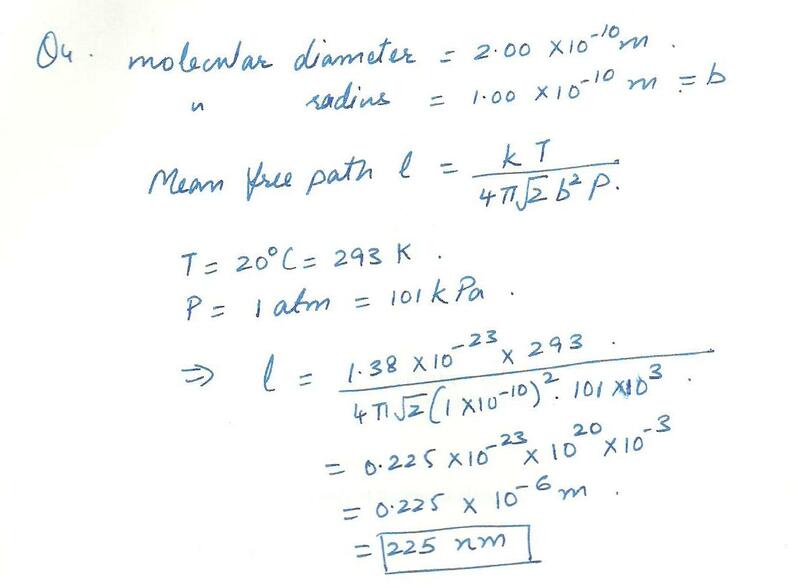 Determine the mean free path for nitrogen molecules at 20%C and 1 atm. Hint: Assume a molecular diameter of 2.00x10-100 m.
Calculate the total translational kinetic energy of a molecule of gas at 20 degrees C.
Suppose that the molecules of a gas actually have five degrees of freedon rather than three. Determine the average molecular kinetic energy of such a gas at 300 C.